Back in September 2014, SNS Network has launched an 8-inch Windows 8.1 tablet called Joi 8 into the Malaysian market that is powered by an Intel Atom processor and carries a highly affordable price tag of only RM 499. Not long after that, SNS Network unveiled the tablet’s bigger brother called Joi 10 in November. 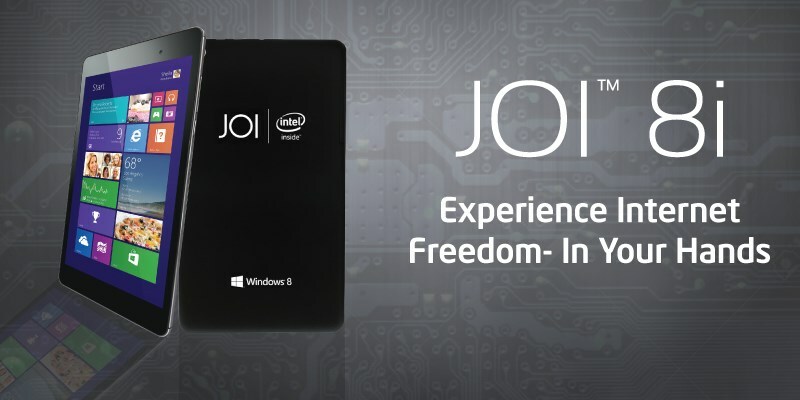 This month, the company will be welcoming yet another model to its Joi family of Windows 8.1 tablet with the addition of Joi 8i. While the tablet might carry the same name as per its older brother, the Joi 8i has a different physical design and is draped in black instead of white. Of course, the biggest difference between the two model is that the support for 3G connectivity on Joi 8i. 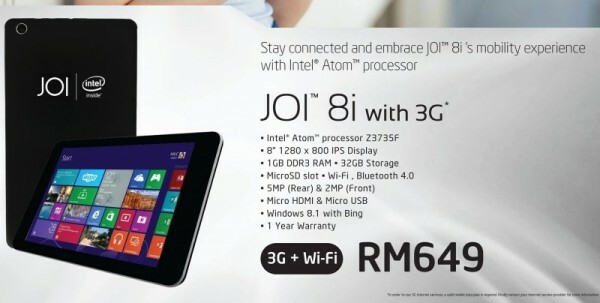 The new tablet also features an 8-inch 1200 x 800 IPS display which is identical to the original Joi 8 tablet. It is also built with 1GB of RAM even though its 1.33 GHz Intel Atom Z3735F quad core processor is actually able to support up to 2GB. Other than that Joi 8i also comes with 32GB internal storage, microSD card reader, 5-megapixels rear camera, and 2-megapixels front camera. Priced at RM 649, SNS Network didn’t announce the actual availability date for the tablet in the market. That being said, it is estimated to be available for consumers towards the end of February according to one of Intel’s product distributor in Malaysia, Achieva Technology. All in all, just keep a look for the arrival of Joi 8i at you favourite IT retailers later this month.